So what would it take to get you off the sidelines and into the game of world missions? Do you need a burning bush experience? The God who calls you will direct you each step of the way to your place of blessing with Him. 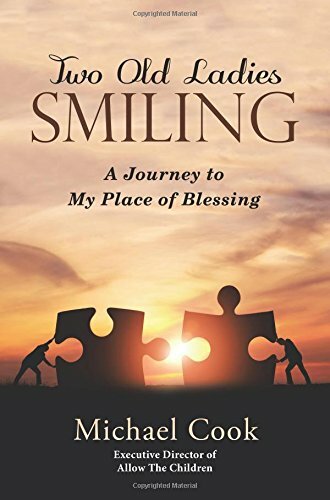 This book describes one man's journey from a very good and productive Christian life into the ultimate place of God's blessing in his life. What would it take to move you out of that place of blessing? Life's struggles come at you very rapidly, often with multiple assaults at once. The author describes how both struggles in the ministry and struggles caring for late-in-life parents challenged him greatly. Despite the difficulties, God gave him the grace to endure and brought a fuller appreciation of how he had prepared the author for every circumstance he would face. Includes: air fare, accommodations, food, ground transportation and the projects in Guatemala. Does NOT include: passport, immunizations, travel medical insurance (required), food during the air travel, transportation to/from the US airport, excess baggage fees, personal expenses such as needed medicines and toiletries. The children of our ministries in many parts of the world wish a Merry Christmas to Allow The Children and we want to pass it on to all of you, who are part of this ministry. Our medical clinic project this year was for an earthquake affected area. Up into the mountains we went almost higher than the vehicle was able to go. We found people in need, not because of the earthquake alone but because their villages were far away from medical facilities. The country was also in the beginnings of a blockade preventing medical supplies from coming into ANY where in the country, so of course, the more remote areas were at even greater disadvantage. Every member of the team served in a needed role-- just as the body of Christ should function. Some were preparing meals. Some were organizing and distributing the medicines. Some carried boxes, set up and organized for each day's clinic. Pastors from the area met with the people, prayed with them, and offered literature. The doctor was the reason the people came, but those who were willing heard the gospel. We distributed Allow The Women kits and spent some time with each woman to show her how to use the supplies. What a blessing it was to give something so beautiful and so useful to women who had so little. This important project is bringing training to men in four countries who are pastors, evangelists and cell group leaders-- who are already leading and teaching. They are able to multiply and teach others also. Sep 2015 Pastor Rene Gonzalez and his wife, Irene taught pastors and wives in Nicaragua. Oct 2015 Matt St. Clair and Don Updike will be going to Burundi, Africa to train pastors. Nov 2015 Jim Warner and Brian Hoffman will be going to Nepal to train pastors. Allow The Women-- to attend school and to work their jobs, to go about their daily lives and to meet their responsibilities. Many girls in developing countries struggle with how to manage their menstruation. Disposable products are rarely available and financially unattainable. Girls might miss five days of school every month for lack of a solution for this problem. Women might lose income from their jobs. A recent problem is the earthquake in Nepal. Many families lost everything they had. We are doing a project to make re-usable menstrual pads. We hope to provide them to earthquake affected women in Nepal and also a set for every teen girl in our sponsorship program in all of our countries. The School for the Blind in Burundi, Africa has three buildings. The children constantly move among them. One is the dorm where they live. The dining room is in one and classrooms in the third. The ground was rough and uneven. Muddy puddles formed both a safety hazard and a chance to spend the remainder of the day with wet feet. ( The blind cannot see the puddles.) There are other needs and projects waiting to be done, but it blesses me to see these permanent walk ways built. There are three of them-- to protect the way between each of the buildings. Most of you who read our blog or receive our newsletter already sponsor one or more children. We appreciate you so much. We need more sponsors, especially for some children who have waited for a long time. We are hoping that some of our faithful sponsors might help us reach out to some areas outside our own circles to some relatives or neighbors who might be willing to do what you do. We can send you a photo of a child who needs a sponsor and a fill in card. Would you talk to someone you know who might be interested? If you can find one more sponsor, you multiply the help you are already giving. There is no obligation and no need to explain if you do not find a sponsor. No need even to send anything back. You can keep the photo and use it to pray for the child. Contact us! Sabita and Jeewan are orphans-- not because their parents died. As far as we know, both are still alive. But both have abandoned the two children, leaving with no contact for some time. They were living with grand parents until the earthquake, but the house was destroyed and the grandparents are struggling for survival. Sabita and Jeewan have come into one of our children's homes in Nepal. We will care for them and educate them, disciple them in God's Word and someday launch them into life where we hope they will lead and minister to many others. Life is hard. Earthquakes are hard. Yet our God uses the hard things to move his people to the places he wants them to be. During our visit to Nepal, it was easy to drive through parts of the capital city and forget that an earthquake happened here. But turn a corner and a reminder might loom before us-- a building crumbled to the ground or an empty shell dangling the reminder to all who pass. A five story building might have uprooted and now leaning against its neighbor building. Or-- it might be standing as if unaffected, but a closer look reveals frightening cracks, as if one more small shake might bring it down. People were still living in tents, whether their building stood or not. If it still stood, there was the fear that something might bring it down. The ground still shook almost daily. I was aware of some of the tremors and sometimes I heard about them from others or read in the daily internet news. Outside the city, whole villages have been destroyed. Houses built from mud and stone went down with the first tremors. Some of them can be rebuilt from the same materials, but in other cases, the ground was left unstable. The people need to move to another place and start life again with nothing. The suffering is impossible to grasp, especially as rainy season is upon the land. The rains make shelter a critical priority and it needs to be more than fabric tents. The rains mean the time of planting -- and those who miss planting also miss reaping. The agricultural cycle is a fact of life in the village-yet the land that the family owned might be gone, or no longer habitable. Please pray for our people in Nepal. Even if they have no personal loss, the suffering is all around them. Allow was able to help as we wired earthquake relief funds to four different areas. Our trusted partners carried food and water, tents and medicines to people that the government agencies seemed to forget. Now we are busy with plans for a new children's home to orphaned and homeless children from one village which was forced to move. This is the house of one of the new children in our sponsorship program in the Amazon. Actually, it is a better house than most. It is the home of the pastor and his family for this village. The ministry in the Amazon is very much like our work in other countries. The people are poor. We want to disciple and educate children from believers' families to be the next leaders for the community. We want to support and encourage and enable the evangelism already in progress in the villages. Let the church in America and her resources stand beside these dear believers as they labor in the Amazon. Boats are a way of life on the Amazon. Children paddle their way to school and home again. One school we visited was three classrooms, the only building in the area that was still above water and it only barely so. Flooding this year was higher than in many previous years. We have taken some children of pastors into our program for sponsorship. We hope to help and encourage them in their ministry work. In the last week of May 2015, I spent a part of my life on board this boat. We zipped along waterways, like roads, in the Amazon River, braving hot sun, sudden torrential rains, fellow boaters and river creatures. The driver, that is the man handling the motor at the back, used a GPS device to navigate canals that looked identical to me. Unlike American waters, there were no recreational boaters here. Everyone was going somewhere, usually with boat loaded down as ours was--with supplies, livestock and children. I noticed that dogs seemed to enjoy the experience more than other animals. The best part was the beautiful scenery and of course the ministry among the villages. The worst part was sitting with no back rest for hours. I suffered from my lack of Spanish fluency, except when we stopped in a village. The indigenous people did not speak Spanish which put us all on a level field. Life in the village was like villages in many places where we work. Homes were simple shelters, Food was home grown-- plentiful in harvest and perhaps scarce at other times. Fishing is important. Many of these villages have a church building and a body of believers planted by the missionary who was hosting me. An earthquake house is one that will not kill you if it falls. We are building one of these for the Action Love Children's Home. It is basically structured from bamboo and sheet metal. Rainy season is rushing towards us and this should be a good shelter from the rain. Even more than that, it will be a place to call home and a place where the children can sleep without fear. The Amazon-- with everything going on in our ministry right now, it might not seem to be the time to expand to a new ministry area. Yet, plans for a survey trip to South America have been in the works for over a year. This is not the first time that conflicts, distractions and even overwhelming events have come just at the time when we were about to open a new ministry project. Please pray for the people-- especially the children-- of the Amazon and whether it is time for Allow to begin work among them. Next week, 27 May, I will be flying out to visit two ministry areas with the intention of establishing relationships and possible ministry partnership for sponsorship of children and possibly pastor training. As far as the church plant on the property, that is having to be delayed a little bit, one factor is the political situation (in the current political climate it would be difficult to take large teams up from the city to help with the initial evangelism efforts etc...), The other factor is that the nearby village church that will be helping with the plant is in the middle of its own construction (currently like 30 people sit outside every week cause their building is packed and can only hold about 120). So the local leadership here in the city decided that it would be best for us to help that church finish its expansion project before working on building the building at the new property. They already have a new foundation and are hoping to start building the beginning of July. It would not be good to very quickly build a good sized building for the new church plant on the new property when the mother church is still stuck trying to accommodate the people they have! Things are always more complicated here in Africa than I would like :) But I guess it is not just Africa. I am writing this note in May, 2015, not quite a month since the first major earthquake shook Nepal. Since that time, smaller tremors, and aftershocks continue to plague the land. Building that cracked, but remained standing after the first event may fall anytime as the ground shaking continues. Recovery is a challenge under any circumstances, but nearly impossible when "another one" could come at any time. Many of our people are still living in tents, even if their house was not damaged. They are searching out clean water and cooking as best they can. Please pray for Nepal-- that the shaking will stop and the rebuilding can begin. His father died some years ago, leaving his mother a widow with three children. We joined in with sponsorship to help the children remain in school. One sponsor stuck with him to help him even through a university program. He is scheduled to graduate this year with a degree in engineering, but he spent this week working with our relief team, carrying needed supplies to the people. To us, sitting in America and just watching the news, it is just one pile of ruble after another. But each one of those piles is a personal tragedy to a family in Nepal-- a family that was probably already struggling to survive. This is one of the villages where Allow works and where we delivered supplies this week. People in the US sent checks to our office. We sent wires to Nepal. Our partners bought food and tents, cooking oil and bottled water. They loaded trucks and carried the supplies to places like this one.